Editor’s note: Conversations in The Dialogue are pulled from Summit Daily’s Facebook comment threads and website comment sections. 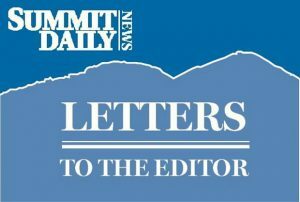 Reader Joe Hahn recently wrote a letter to the Summit Daily offering his take on the ongoing dispute over Alta Ski Area’s long-standing ban of snowboarders. He voiced his support of the Utah hill’s claims that snowboarders have a natural blindspot that makes them inherently dangerous. Summit Daily readers reacted to the letters with both support and opposition. Tom Clancy: As a professional ski instructor at Breckenridge for 15 years and having been run into by an uphill rider (snowboarder) many times over the years when the boarder was making a heel side turn I can say that Joe is absolutely right. The whole problem would be much better if snowboarders just acknowledged their blind side and behaved accordingly instead of always blaming the downhill person saying, “You turned in from of me”, “You were in my way” or “You were on my side of the trail, dude”, all of which were said after I was run down by a reckless boarders many times. Behavior is the bigger issue more than the blind side issue. Drew Reges: Joe has a silly idea of how snowboarding works. The board isn’t locked perpendicular to the fall line at all times. I have this funny image in my head of someone going down the hill in a snowboard, unable to point the nose in any direction besides straight down. I don’t think I could even manipulate a snowboard in that fashion; the nose would always want to orient toward the direction I was headed. Like any sport, keep your head on a swivel and read your surroundings. I find it hard to believe that Alta has some divine insight that the rest of the world has failed to grasp. They should get with the times and not openly discriminate. This very logic about perceived safety concerns may as well extend to any skier or rider with physical limitations. When will we provide mandatory physicals for resort usage? Shall we ban DSUSA on these grounds? Jeremiah Altfater: Instead of worrying about a blind spot how about focusing attention on inexperienced skiers/snowboarders riding on terrain far beyond their abilities, putting others at risk. A blindspot doesn’t effect people who know how to turn. We are constantly aware of our surroundings. Timothy Faust: As a professional ski instructor, I won’t lie and pretend that I am not biased towards skiing, but the writer’s assertion that snowboarders have a unique blindspot is ignorant nonsense. Graham Pritchett, of Dillon, wrote his response in a letter to the editor: Joe Hahn’s assertion can be easily refuted by clarifying a single detail in the car scenario. Anybody (who) is having trouble with the example used by Hahn need only to sit in the front seat of their car side-saddle and then rotate your upper body, so you are looking forward as a horseback rider would, you are now seeing the perspective of a snowboarder. The problem is that Joe’s description does not explain the last part about turning your upper body, instead opting to treat the human body as a rigid form with shoulders locked in the same direction as the knees. This issue has nothing to do with snowboards, skis or mythical blind spots. All riders with two eyes have the same field of view, oriented based on the position of their head and shoulders. I do not find one-eyed riders, blind riders, skiers or snowboarders to pose a noticeable threat when everybody is keeping their head on a swivel. What really seems to cause accidents with snowboarders and skiers alike is riding without being aware of what is going on around you. I see plenty of skiers forget to check left or right when cutting wide across a run, does that mean they have a blind spot? Only when you keep your head in a fixed position do you have a massive blind spot to the rear, left and right. However, your head and upper body do indeed rotate to a degree as needed. 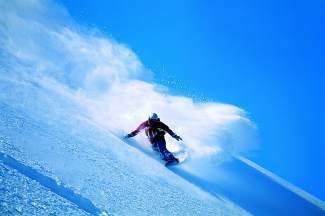 Consult a medical professional if you are having trouble with range of motion, consult a snowboarding instructor if you are having trouble understanding how to ride a snowboard.